Payment for sales tax and fee. To assign the vehicle title, all relevant information must be provided on the back of the certificate of title in the appropriate boxes in the “Assignment” section at the top. Also, all of the owners listed on the front of the title must sign the back of the title, and their names must be printed on the back of the title exactly as they appear on the face of the title. You’ll probably want to title the vehicle in the name of your company. 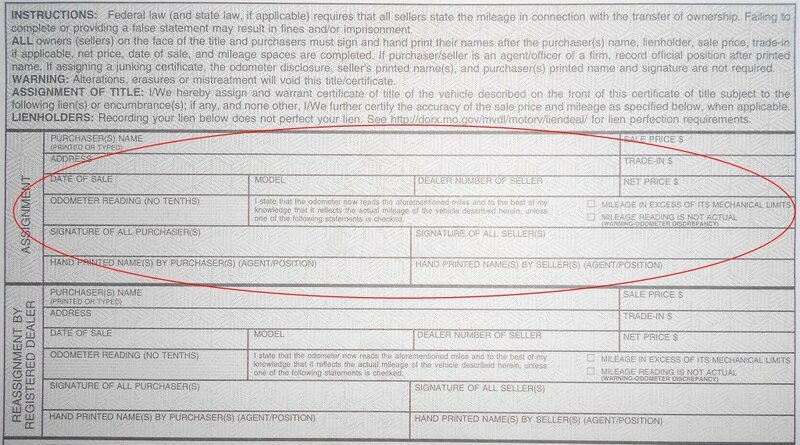 To assign a vehicle to a company, the company’s full legal name should be written in the “Purchaser” space, and you should sign your name in the “Signature of All Purchasers” box, and write your name and title in the “Hand-Printed Name by Purchasers” box. If a lien is shown on the face of the title, you’ll need a notarized lien release from the lienholder. Lenders usually send a notarized lien release when someone pays off a vehicle loan, but you can also use Form 4809, which I describe below. If the current loan on the vehicle will be paid off at closing, you’ll need to get a payoff letter from the lender (i.e., a letter from the lender that states the amount that will be required to pay off the loan as of a specific day and where funds should be sent to pay off the loan), and the payoff amount should be paid directly to the lender and deducted from the sales proceeds payable to the seller. If the new buyer is granting a lien to a lender, the lienholder information should be provided at the bottom of the back of the title in the “Lienholder Information” section. You can also use Form 4809 for this. The lienholder information will also need to be included in the title application, which I discuss in the next section. For more information about liens, see my post Recording a Lien on a Vehicle in Missouri. Don’t use whiteout or erase information on the title; that will void the title. 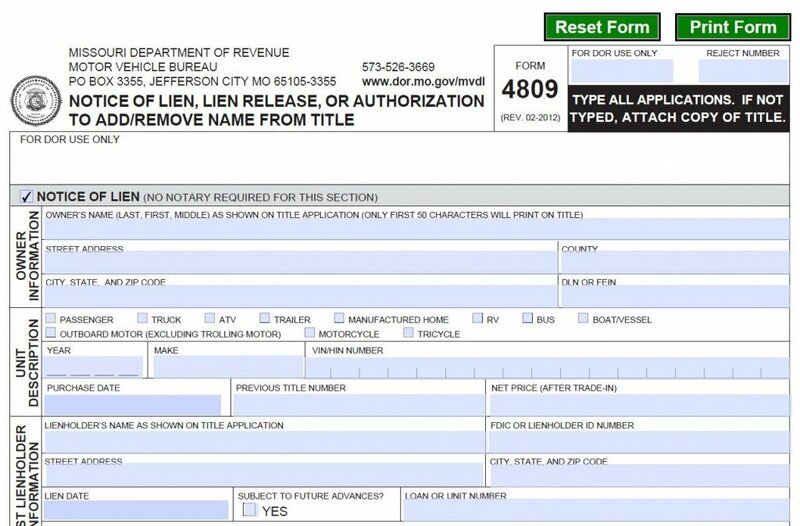 If you make a mistake on the back of the title and have to line through it, you’ll probably be required to submit a general affidavit on Form 768 when you title the vehicle. (Check the “Other” box and explain what happened.) Like all affidavits, it’ll need to be notarized, so be careful. 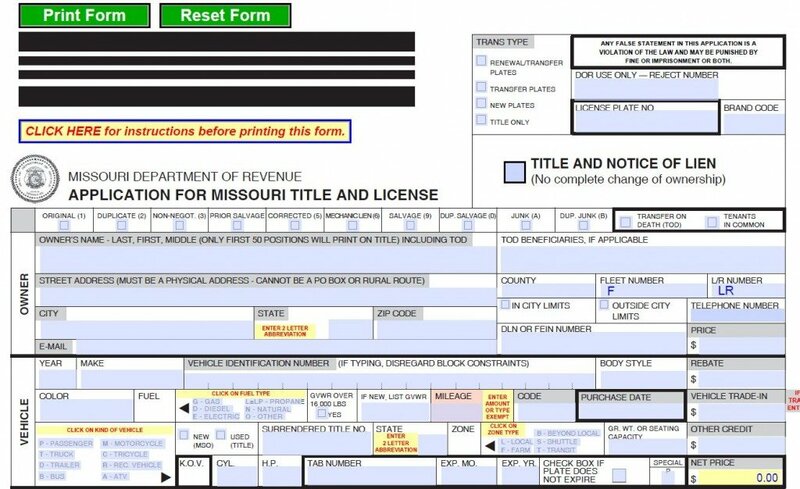 The Missouri Department of Revenue has an excellent web page containing detailed instructions on filling out the back of the title. Once the seller delivers the properly assigned title to the buyer, the buyer will complete an Application for Missouri Title and License on Form 108. Instructions are included on the second page of the application. But note that you should put the name of your company in the owner’s name section at the top (you probably don’t want to title the vehicle in your own name), and you should include your title after your signature. Also you’re required to provide a street address (not just a post office box). Bring a copy of the signed asset purchase agreement with you. The general bill of sale that was executed at the acquisition closing should be sufficient as long as it lists each vehicle with its VIN, but sometimes I need to show them the entire asset purchase agreement. Bring a copy of the signed general bill of sale with you. Make sure it lists each vehicle with its VIN. It’s also a good idea to include the value of each vehicle. Bring a copy of the signed title application. Be sure to include a phone number in the Owner information section. Leave the purchase price as $0 (the purchase price on the back of the title should also be $0). 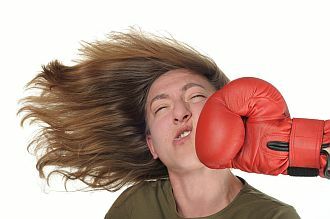 Make sure the owner on the face of the title is the company that you bought the business from. 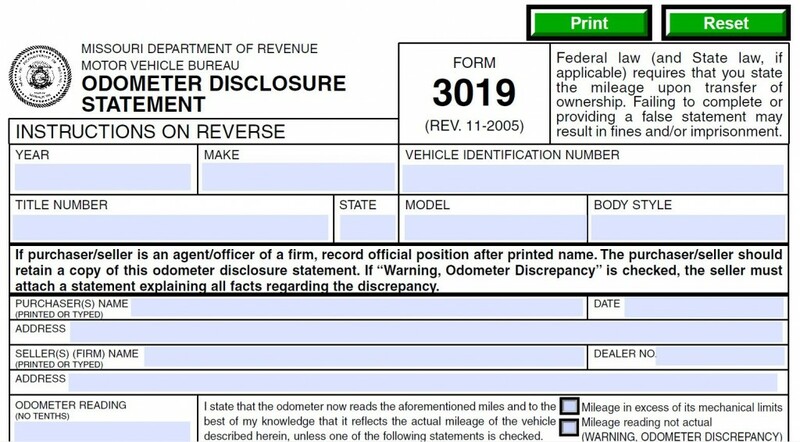 If it’s titled in the name of the business’s owner, or both the business and the owner, you’ll need to either have the seller re-title the vehicle so that the company is listed as the vehicle’s owner (it will take up to 30 days to get a new title, so you’ll have to have plenty of lead time to do this), or you’ll just have to pay sales tax on the transaction. When you go up to the counter, tell them that you need to title a vehicle and that you purchased the vehicle in a transaction that’s exempt from sales tax because it was purchased in a company liquidation. If they don’t know what you’re talking about, tell them it’s exemption 16. This gets them to the right screen on their computer and moves the discussion forward. Exemption 16 covers other types tax-exempt transactions in addition to company liquidations, so you’ll probably have some more explaining to do. This is usually where the manager and call to Jeff City come in. I’ve gone through this many times and have never been turned away. They sometimes tell me that if Jeff City objects, I’ll need to pay sales tax before I get the title, but that’s never happened. In the future I plan to do this by mailing everything directly to the Department of Revenue, but if anything’s out of order, they’ll send it back to you. 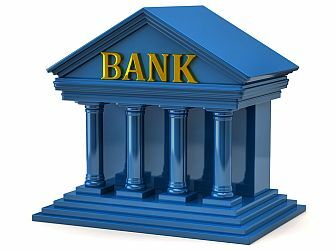 I’m often needing to perfect a bank client’s lien on the vehicle, and the prospect of having unprocessed title applications returned to my client’s borrower makes me nervous because liens need to be perfected within 30 days of closing. Up to this point, a little time and aggravation has been worth a good night’s sleep on the day of closing. If the vehicle was titled in a state other than Missouri at the time of sale, you’ll need an identification number and odometer inspection. The purpose of the inspection is to verify the vehicle identification number and the odometer reading. You can obtain the inspection at an authorized Missouri inspection station. Other possible options are detailed on the Department of Revenue’s website. If the vehicle is less than ten years old and weighs 16,000 pounds or less, the seller is required to disclose the mileage at the time of sale. This is done by filling in the appropriate box on the back of the certificate of title. If the certificate of title that is being signed over to you doesn’t have a place for recording the odometer reading, the seller should provide an Odometer Disclosure Statement on Form 3019. This form can also be used if there isn’t space on the back of the title for the printed names and signatures of the buyers and sellers. If the vehicle is subject to a lien, you’ll need to provide a lien release to have the lienholder’s name removed from the title. You’ll use Notice of Lien, Lien Release, or Authorization to Add/Remove Name From Title on Form 4809. The lienholder’s signature must be notarized. A faxed copy of the notarized form should be sufficient if you can’t conveniently (or quickly) obtain the original. When you title your vehicle, you’ll be required to pay state and local sales tax on the purchase of the vehicle. The taxes are assessed on the purchase price less any trade-in allowance (which would be rare in the context of a business acquisition). The state sales tax rate is 4.225 percent. The local rate can be found on the Department of Revenue’s website. You’ll also have to pay an $8.50 initial titling fee and a $2.50 title processing fee. When you register the vehicle, you’re required to provide proof that you’re able to cover damages if you cause an accident. The most straightforward method is to present an insurance card at the local license office showing that you have the required liability insurance, but there are alternative options, such as providing a bond. Unless you have a newer vehicle, you’re required to have it inspected at an authorized Missouri inspection station. The station will give you a Certificate of Inspection and Approval, which you must submit to the license office when you register the vehicle. The certificate must be no older than 60 days at the time of registration. Note that the seller is supposed to provide the inspection, but the buyer often takes care of it. Vehicles are exempt from this requirement for the first five years following the model year of manufacture (e.g., a 2013 vehicle will be exempt for the years 2013-2018). The exemption rules for heavier vehicles vary. If the vehicle is being registered in the St. Louis metropolitan area (i.e., St. Louis City or in the counties of Franklin, Jefferson, St. Charles, or St. Louis), you must also have an emissions inspection done on the vehicle and submit a Vehicle Inspection Report. The Vehicle Inspection Report must not be more than 60 days old at the time of registration. The exemptions from safety inspections for newer vehicles mentioned above do not apply to emissions inspections, although there are some exemptions that might apply to your situation. The emissions inspection program, also known as the Gateway Vehicle Inspection Program, is administered by the Missouri Department of Natural Resources and the Missouri Highway Patrol. You can find a listing of inspection locations at the Gateway Vehicle Inspection Program website. 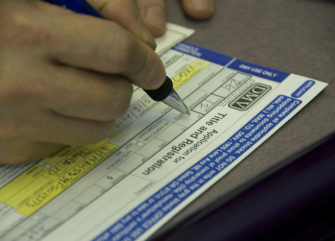 When you register your vehicle, you’re required to present a property tax receipt for your company. If your company didn’t owe property taxes in the previous year (or previous two years if you’re applying for a two-year registration), you should submit a Statement of Non-Assessment, which you can obtain from your county assessor. When you register the vehicle, you’ll have to pay a $3.50 registration fee ($7.00 for a two-year registration) plus an additional fee based on the horsepower of the vehicle. Registration fees for heavier vehicles and trailers might be different. A notarized lien release on Form 4809, if applicable. Often the buyer will take care of the safety and emissions inspections. Also, be sure to remove your license plates when you deliver the vehicle. Unless the vehicle is sold to an out-of-state purchaser, the seller must also report the sale to the Missouri Department of Revenue within 30 days of the sale. This is done by submitting a notice of sale on Form 5049 or a bill of sale on Form 1957. Titles issued beginning in February 2006 include a tear-off notice of sale, Form 5049A. Failure to report the sale could result in fines of up to $200 (the fine is up to $300 and it’s a Class C misdemeanor in the case of fraud). 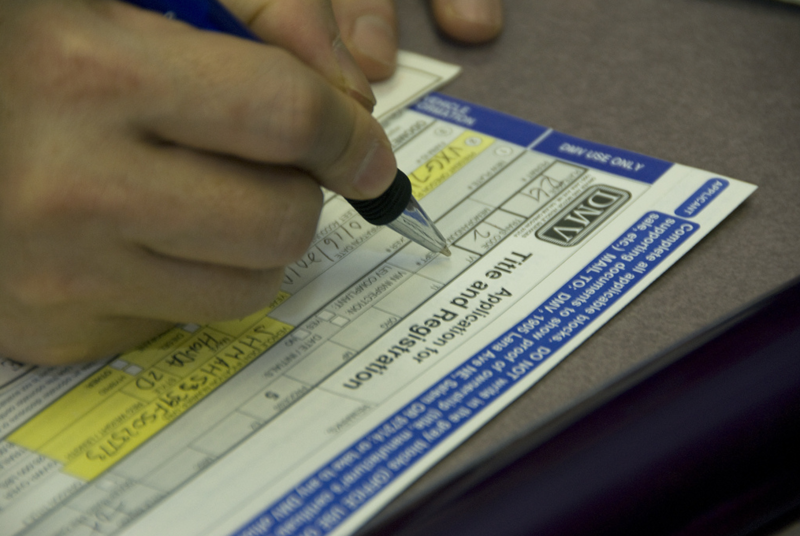 Image credit: OregonDMV via Flickr under a Creative Commons license. This is great information. I am looking to buy my first car, and I was confused by all that I would have to do. What exactly does the odometer inspection reveal? how is this different from the odometer disclosure statement? Thanks for clearing these things up for me.